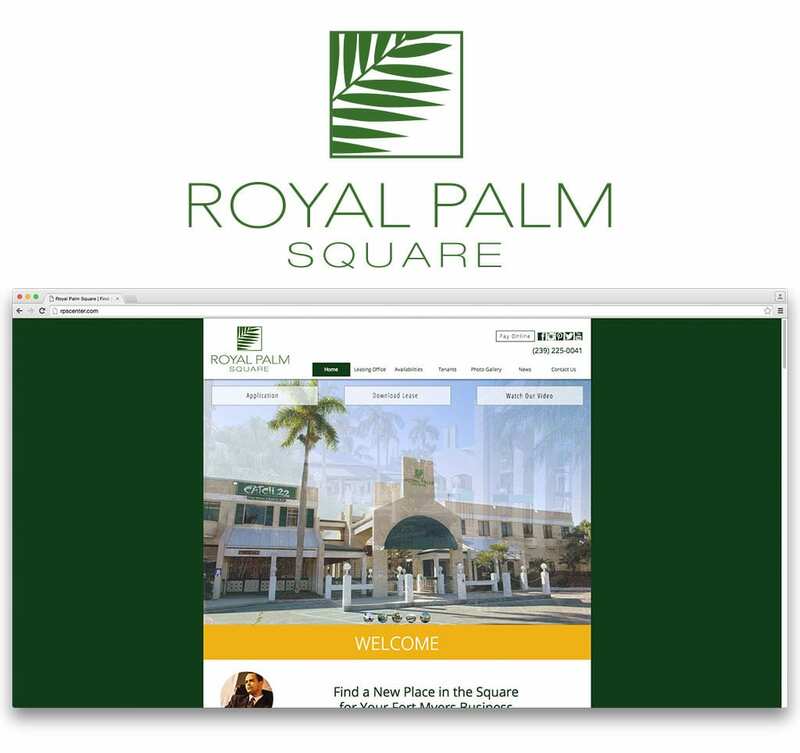 The owners of Royal Palm Square Office Park in Fort Myers hired the Agency in 2015 to spread the good news about the park’s revitalization via public relations activities, as well as to design and develop their website, inserts and banner ad. What once was the area’s top retail destination, Royal Palm Square had fallen into disrepair. But that has all turned around after a massive yearlong renovation effort by Royal Palm Companies, the firm that purchased the office park in October 2014. RPC has invested millions of dollars in renovations from top to bottom — from landscaping the courtyards and enhancing the numerous water features and manmade streams, to repairs on individual suites and exterior walkways. In early 2016, the 144,000-square-foot Royal Palm Square was virtually fully leased, including leases that were signed but not moved into at the time. Today, the office park is home to an eclectic list of businesses – from a Spanish-language radio station to real estate brokers, a coffee shop, restaurants, healthcare businesses, professional services companies, a dance company, and a design house serving the ballroom dance world with international clientele, among others. The Brand Architects® at Spiro provided a steady stream of news releases and news media “pitches” that resulted in extended coverage about Royal Palm Square’s amazing success. The coverage was an important resource for RPS to use to help entice businesses to relocate their firms to the office park. The news articles provided potential clients with credible information about the “comeback,” and piqued their interest enough to speak with existing tenants for their feedback.